I regret to say that a a truly inspirational client of mine had passed away this winter, leaving a long journeyed design project unfinished. Dr. John Pagano—a nutritionist, writer, artist, and musician passed away at age 82. I had begun designing slides for a movie he was planning on creating about two years ago, after first visiting him with my mother as a patient. John Pagano, along with a few other doctors and nutritionists before him, realized the connection between diet and many autoimmune diseases. After traveling all the way to the Dead Sea with my mother for a vacation and possible relief for her on going psoriasis, we met a Danish woman who suggested the “Pagano Diet” to my mother. Of course, the idea that this disease—which pervades your skin causing discomfort and embarrassment, would be cured by a diet seemed far fetched at first. Yet, after noticing that many of the other Dead Sea visitors were very conscious about this connection, my mother purchased Dr. Pagano’s book, “Healing Psoriasis Naturally” after returning home to the U.S. In Pagano’s book, he explains how in your digestive system most foods either create an acidic environment, or an alkaline environment. Certain people with genetic digestive tendencies will develop autoimmune disorders if they eat an overly acidic diet. Over time a yeast build up on the intestinal wall will grow due to the excess of acidity from the foods being consumed. The not so friendly counterpart to this yeast that develops on the intestinal wall is fungus, and the roots that come with fungus. The fungus roots penetrate your intestine and cause toxins from your intestines to leak into your bloodstream, hence the term “The Leaky Gut Syndrome”. People with this digestive genetic tendency can develop an array of autoimmune diseases—their body's way of trying to fight against these toxins leaking into the bloodstream. Some disorders include: psoriasis, fibromyalgia, lupus, type 1 diabetes, asthma, and allergies just to name a few. After looking on the back of Dr. Pagano’s book, my Mother and I were surprised to find that the author was based twenty miles away in New Jersey, so we made an appointment. We were amazed at the results on my Mother’s skin after going on the diet—which is in the Doctor’s “Healing Psoriasis Naturally” and “One Cause, Many Ailments: The Leaky Gut Syndrome” books, or you can probably look online to see which foods are acidic, and which are high in alkaline. Though, I do recommend, if you are going to go on the diet, go on the diet. Be strict with yourself, and know that restraining yourself from eating that marinara sauce or ice cream is starving that evil fungus which is causing you all this discomfort. It may be difficult to restrain yourself for three months, but I think it is much more practical going on a healthy diet than taking all that medication for the rest of your life. Once you starve that fungus and your symptoms go away, you can begin to slowly introduce acidic food back into your diet. If your skepticism starts to take over during the diet, and you lose faith, just remember that at the very least you are going to lose weight and feel great! The perfect mesh of modernity & ancient folklore in the presence of the band Niyaz I had listened to traditional Middle Eastern music here and there, the Sufi poets of ancient Persia have caught my interest, and I think the current chaos we hear about everyday on the radio pertaining to civil unrest in countries such as Syria and Iran are obscuring mainstream understanding of the cultures in the Middle East. Yet, when I had the honor of witnessing the Iranian band Niyaz live in NYC, I was truly blown away. The lead singer Azam Ali's voice brings you back in time to Medieval Persia, a land of philosophy and Sufi poetry centered on love and peace. Azam did not let the opportunity to convey Niyaz's message pass either. She engaged the audience when she spoke of the minority groups in many Middle Eastern countries who are struggling to survive in regimes focusing on dissipating their existence. 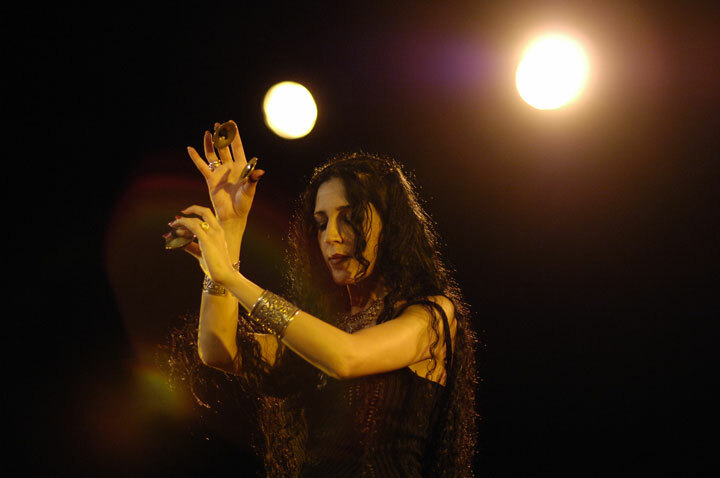 Much of Niyaz's music is traditional folk songs from these minority groups, and when watching Niyaz perform them live you can imagine yourself in a mountainous village in ancient Persia. With the accessibility of so much music today, finding anything contemporary with much substance can often be difficult. Niyaz offers ancient wisdom, vocals that give you chills, and one of kind instruments layered over electronic sounds that have the power to make even wallflowers sway to the tribal rhythms.